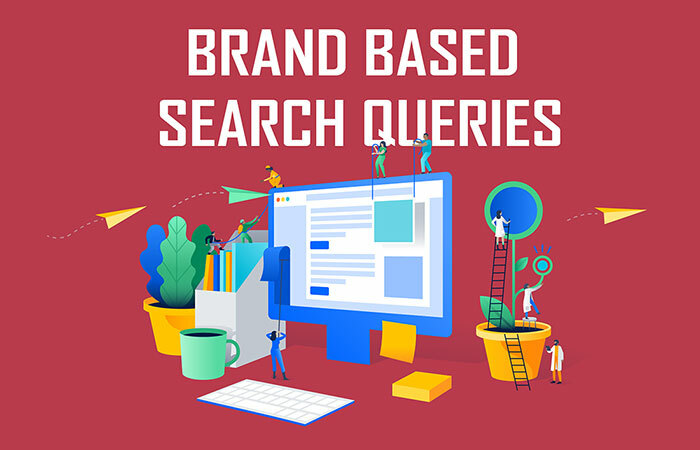 Brand Searches are search queries done in Google that contain your brand name (or site name) with or without niche specific keywords. When people search Google for your brand with niche related keywords (primary, secondary or long tail) – these searches pass down an association signal to Google. If this is done consistently over a period of time and not just in spurts – it will trigger higher ranking signals and give your site a boost for the keywords that are being associated with your brand in these searches. If you want to take advantage of this method for rankings – you need to do it right. It is important to understand that getting 100 brand searches in one day, will not help! You need consistent brand search signals ongoing over a period of time. For example if people search for “seo inspiremelabs” the site of the brand inspiremelabs (which is inspiremelabs.com) will get a +1 vote associated with the keyword “seo”. If you think about it, brand searches are expected to be happening from popular sites on that topic. People should already know about your brand and should be searching for it in Google with or without the keyword. Sites with positive reputation will be attracting users on a continuous basis. However, if you try to manipulate this signal and do it wrong then it will trigger an algorithm that is actually created to check abnormal threshold levels arising from this ranking factor and Google will ignore all the searches being done. There’s multiple ways you can go about achieving these – both whitehat and blackhat. The whitehat method requires you to visit industry forums and make related posts that invoke curiosity in readers so that they go to Google and perform a specific brand search with your desired keyword topic. To do this you will need to make the post in such a way that it piques their interest to know more about you from the comment you left. I will give specific examples below. The blackhat method revolves around getting these brand searches done by users through soem of the micro task / workers websites or firing up a software tool like Pandabot or Browseo and getting it done through them – so Google cannot sniff you out as the originator. If you have a tool like Browseo or Ghost Browser – go ahead and fire it up daily (or get your VA to do it) and perform about 10 to 20 brand searches every day with your brand name + keyword variations. Use variations like www.sitename.com , sitename.com , sitename (brand name), with or without the primary keywords or some long tail how to queries. You can also place orders for these searches via a tool like Pandabot, Microworkers, or Mturk for as little as one or two cents per search. However, this is tedious to maintain and you may need a VA to help do this. Be very careful if the micro workers are doing a brand search and then clicking to go to your site and do not engage much with your site. This will trigger a high bounce rate and could affect your site negatively. You may need to pay them a bit more to click around your site and stay on it longer. You circumvent this problem, you could ask them to click on some links to eventually get to a page and then to find some piece of text on a page and report it back to you – so you know they stuck for a while. I’ve done this method and have received a ton of traffic and readers, and it works wonders. visit the top forum sites in your industry and add value by providing information and helping the community. if you follow the system by xyz (without linking to your site) then you will learn how powerful this is. People will want to know more and they will do brand searches of xyz with or without the topic. Just take on the role of being a raving fan and entice the search! Try and use the brand name more often rather than the website address like inspiremelabs.com as that might trigger a spam filter and the forum mods also may not like that kind of blatant promotion (even though you are wearing the mask of being a raving fan) – it may land up as being suspicious, and the post may get deleted. Also, notice how I am capitalizing the brand name when I write it out instead of just writing it without the caps letters. This is important as it makes the brand stand out as a name. The best place to drop these enticing comments is on recent sites that talk about your topic. 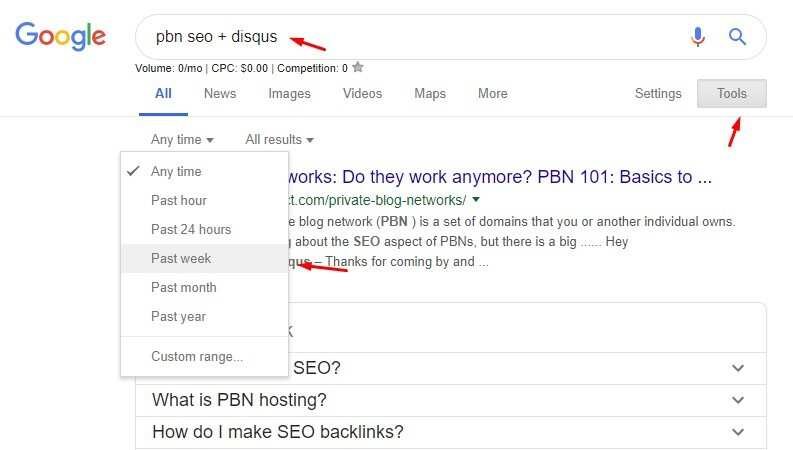 For example – to find recent blog posts (for the past one week) on which you can leave comments (with sites powered by disqus blog commenting) simpy do a Google search for your keyword + disqus and filter it to show results in past week only. Make sure to leave enticing comments. You can drop comments on popular industry specific sites and blog posts as above. Make sure to leave the comments in appropriate discussion threads about the topic. This is important – don’t go spamming irrelevant threads! I may update this post with more specific examples and case studies – showing exactly how this is done on various sites above with real examples. Please subscribe below, if you want these updates! Previous Post SoundCloud BackLinks – Getting SEO Juice From Audio Tracks Next Post Secret Silo Structures for SEO – A Method Used By The Pros : Exposed!